Orthopedic surgeons from The Miriam Hospital in Providence RI, affiliated with Brown University, have conducted a cost-benefit analysis of topical tranexamic acid (TXA) in primary total hip and knee arthroplasty patients that revealed a 12 percent transfusion rate reduction – from 17.5 percent to 5.5 percent – with no significant difference in complication rates. In addition to reducing the risk for postoperative bleeding and transfusion following total joint replacement, use of topical TXA enabled approximately 9.3 percent more patients to be discharged to home rather than to a skilled nursing facility. 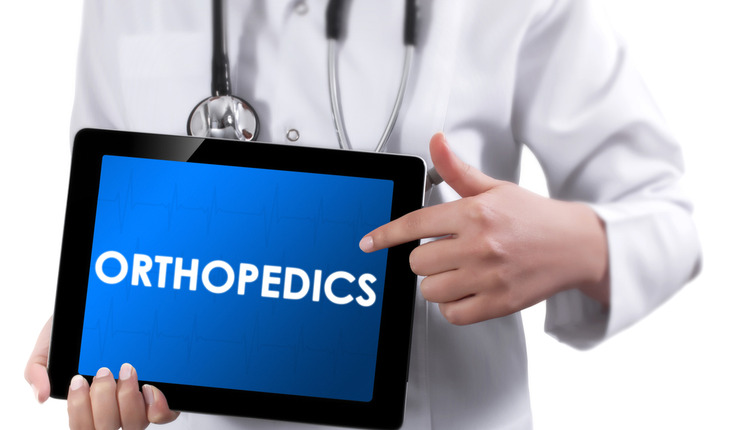 The study and its findings were published in March 2015 in The Journal of Arthroplasty. The reduction of perioperative blood transfusions in total joint arthroplasty has been an ongoing goal in the effort to deliver more efficient and effective health care. According to several studies, blood transfusions may add a 3 to 20 percent risk of postoperative infection. Perioperative transfusion adds both cost to the procedure and risk to the patient, including joint infection, allergic reaction and viral transmission, which led to The Miriam’s analysis of topical TXA in primary hip and knee arthroplasty. Tranexamic acid is a synthetic derivative of the amino acid lysine, and produces antifibrinolytic activity by competitively inhibiting lysine binding sites on plasminogen molecules. Through this process, TXA is able to help the body stabilize blood clot formation and thereby reduce bleeding at surgical sites. Most protocols of TXA in total joint arthroplasty have involved intravenous delivery of TXA. However, a theoretical concern for the possibility of causing new blood clots in veins may be why intravenous TXA implementation has been slow to progress. A growing number of studies have indicated that intraarticular, or topical, injection administration may provide advantages. These include potentially reduced costs with a single injection, surgeon control, and localization and concentration of the drug more precisely at the surgical site. Conducted from March 2012 to March 2013, The Miriam’s study of topical TXA included 591 consecutive patients undergoing primary hip or knee arthroplasty by five surgeons. Of those, 311 patients received topical TXA and 280 were control patients. On September 1, 2012, surgeons started administering topical TXA to all total joint patients intraoperatively. The months of August and September 2012 were excluded from the study to prevent overlap. The proportion of patients was similar between the two cohorts for each surgeon, and bilateral total joints, revision joints, and fractures requiring arthroplasty were excluded from the study. Results showed that with use of topical TXA in total joint arthroplasty, the use of blood transfusions fell dramatically by 12 percent, the cost of surgical care goes down, and patients tend to not stay hospitalized as long and go home instead of needing to stay in a rehabilitation facility.